‘Tis the season for sugar, spice, and everything nice! Girls are gracing the scene all around me, so for two special wee ones, I built them their very own mobile. For my sweet niece Courtney, I made a lavender one, and for my friend’s little Lyla, I made a reddish-pink one. 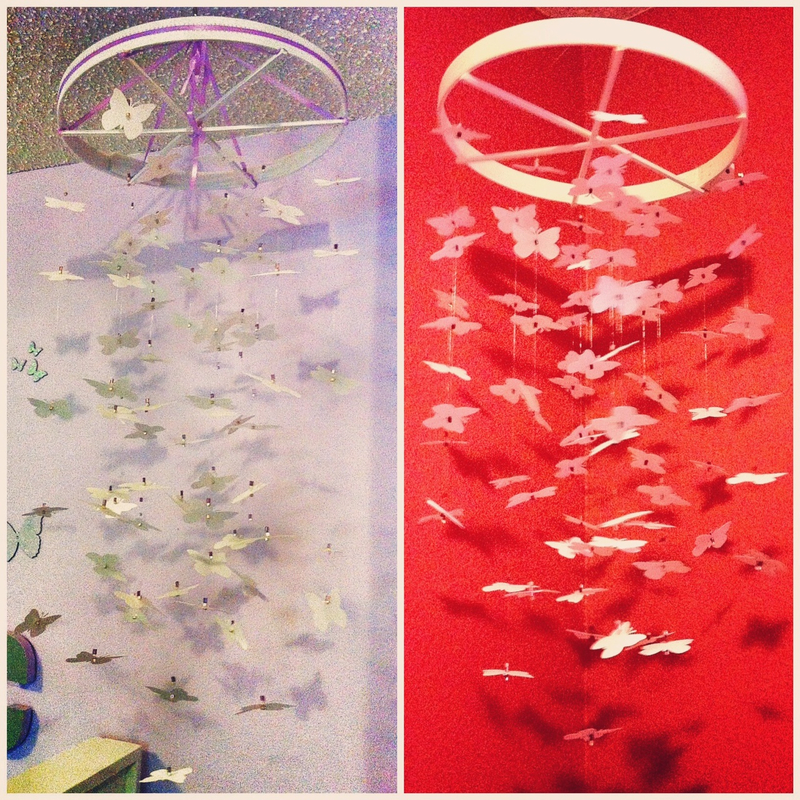 I used a cross-stiching hoop (14″-16″ in diameter) for the top, then used thin fishing line to thread and attach the strands of butterflies to the mobile. Along the stranding process, I threaded appropriately-colored Swarovski crystal beads on either sides of the butterflies (they acted like sort-of stoppers). The butterflies were made from a thick white card stock that had a gold sheen to it, found at Michaels. On amazon.com, I found a big butterfly hole-puncher and used that to made the ga-jillion butterflies. I love Christmas! 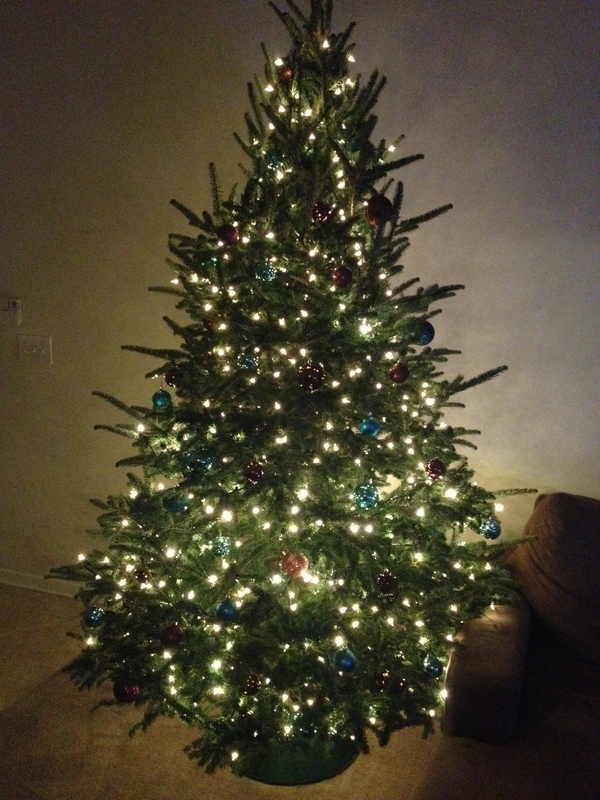 And for our first Christmas as husband and wife, we went and picked out a real tree together. That’s the best way to go; I love the fresh Christmas tree smell. 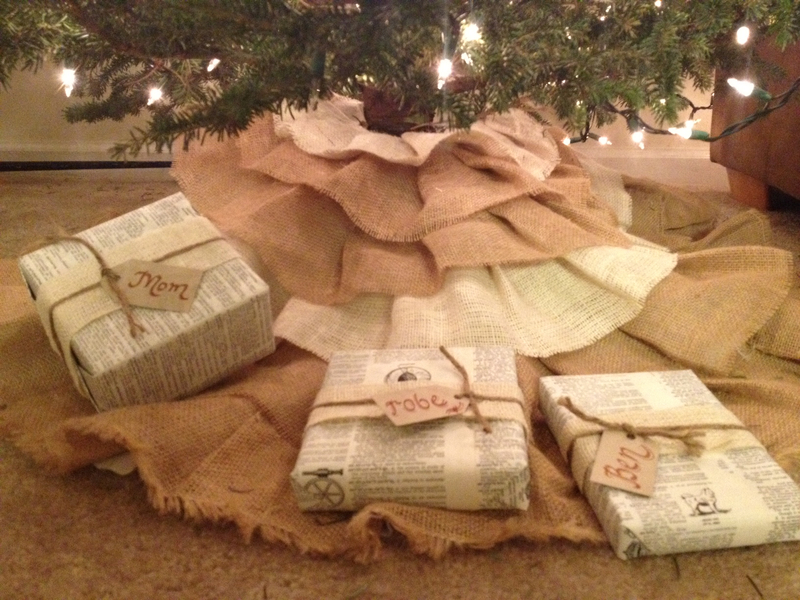 I decided to make a burlap tree skirt from leftover burlap from our wedding. I basically hot glued strips of burlap around a cheap Dollar Store tree skirt. It was literally $1 to make it. Then, for presents, I used leftover encyclopedia pages from our wedding as well. So indeed, it was a [recycled] Christmas! 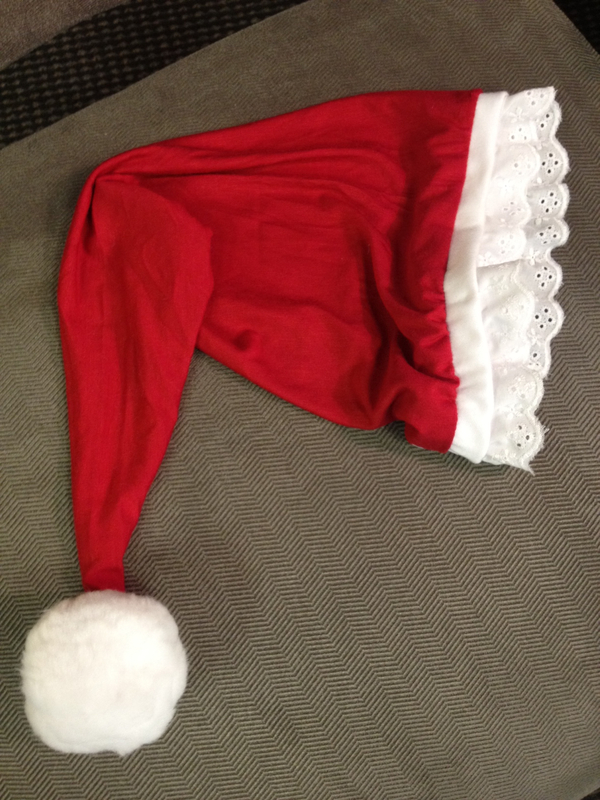 And lastly, for a prop in our Christmas services this year at church, I sewed this old-fashioned stocking cap. I found a tutorial online and updated it to fit our needs. Loved it!